This gorgeous contemporary villa is located by the bay of Villefranche and the peninsula of St Jean Cap Ferrat. The property boasts spectacular sea views as well as a large private swimming pool. 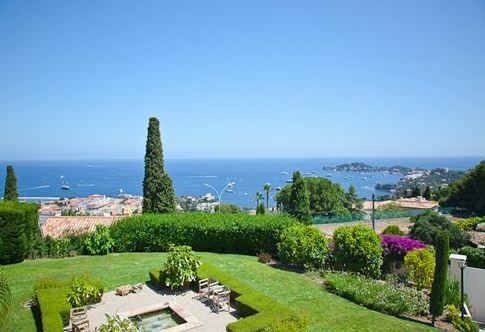 The villa is a short 10-minute drive to the beach and the town centre and a 20-minute drive to Monaco. The villa comprises of 7 beautifully decorated bedrooms, all with light and airy interiors. There are 7 bathrooms of an elegant design to compliment the bedrooms. The spacious living areas are modern with plenty of room for socialising or relaxing. The property’s kitchen is modern and open plan. The outdoor space of the property benefits from a fantastic swimming pool accompanied by its own pool house and landscaped gardens as well as a multitude of terraces for guests to enjoy.